Google offers plenty of apps to help Math teachers enhance their way of teaching in the classroom. But it is a tedious task to scroll through Google Play to choose which app you get most the benefit of, and in some cases you end up not getting what these apps claim to do. So I have compiled some of the best Google Tools for Math teachers to help improve your instructional design, and to save you time too. 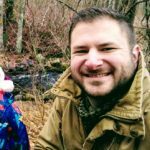 In deciding which tool to use, it is important set a criteria to avoid wasting your time on apps that are less useful than you originally expected. So what is it that makes a Google tool good for Math teachers? It’s not just one thing that we can point out to make an app good but there are a lot of things that must be considered. First, the tool helps procedures for teaching and learning easier and quicker. Second, it should be very useful and has user-friendly interface to navigate. Lastly, it opens new ways to learn and motivate the user to learn intensely. 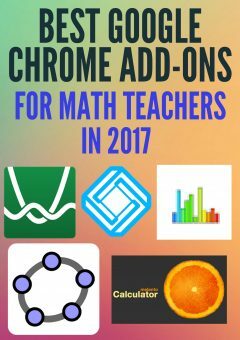 Below are the list of Google Extensions and Add-ons that are best for Math Teachers. Try to check them out and feel free to try them out as they are all free. GeoGebra is a free dynamic mathematics software for all levels of education that provides tools for geometry, algebra, spreadsheets, graphing, statistics and calculus in one easy-to-use package. Interactive learning, teaching and evaluation resources created with GeoGebra can be shared and used by everyone at tube.geogebra.org. Desmos is an easy-to-use but powerful graphing tool that handles graphing, sliders, tables, statistics, zooming, points of interest, inequalities, and more. It can instantly plot any equation, from lines and parabolas up through derivatives and Fourier series. Sliders make it a breeze to demonstrate function transformations. Statistics is an add-on for Google Sheets that does statistical analysis of your data including summarizing a single variable (histograms, means and standard deviations, and frequency distributions), summarizing the relationships between pairs of variables (scatterplots, contingency tables, stacked boxplots), and fitting a regression model. EquatIO makes math digital, helping teachers and students at all levels create math expressions quickly and easily. It lets you type, handwrite, or dictate mathematical equations, formulas and quizzes with no complicated math code or programming languages to learn. More than a replacement for pen and paper, EquatIO makes math and other STEM subjects engaging and rewarding for every student. Melanto Calculator Extension is an unusual scientific calculator because you can see both sides of the current binary operation. The way it works means that if you have an operation entered and tap some unary operation button the operation will be performed on the second operand. The tool was made with touch-screen in mind and is optimized for small devices. What apps did I miss that you think should make the cut? Feel free to let me know if you have other great tools in mind that are good for Math teachers. How about Desmos’s activity site teacher.desmos.com?